She is also trained as a collaborative family law attorney, a board member of The Collaborative Professionals of Baltimore, and a member of the Howard County Collaborative Professionals and the International Academy of Collaborative Professionals. Dana has received an AV Preeminent rating from Martindale-Hubbell, the highest possible rating in both legal ability and ethical standards from her peers. Less than 5% of women lawyers have been recognized with an AV Preeminent rating. Since 2013 Dana has been listed annually in Maryland Super Lawyers. She was listed in Top 50 Women Maryland Super Lawyers 2014, 2015, and 2018 and in Top 100 Maryland Super Lawyers 2014 and 2015, for lawyers who received the highest point totals in the Maryland nomination, research, and blue ribbon review process. Since 2014, Dana has been selected by her peers for inclusion in the The Best Lawyers in America. She is listed in the fields of Family Law and Commercial Litigation. In addition to family law, Dana handles a variety of complex commercial and personal injury litigation matters. In March 2000, she obtained substantial sanctions against a national manufacturer and its attorneys for discovery abuses in a product liability case – a decision that has received statewide and national attention. 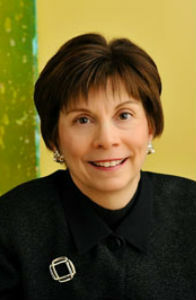 Prior to joining Brown, Goldstein & Levy, Dana was an attorney with Frank, Bernstein, Conaway & Goldman, where her practice was devoted exclusively to complex commercial litigation. Dana is a member of the state and federal bars of Maryland, the District of Columbia, and New Jersey. She is an active member of the Maryland Association for Justice, the Baltimore County Bar Association Family Law Committee, and the Baltimore City Bar Association Family Law Committee. Dana lives in Baltimore City with her husband and daughter. She is active in her community, having served as the Vice- President and then President of the Ten Hills Community Association. She was instrumental in obtaining the historical designation for the Ten Hills community. She also has worked closely with city officials and leaders from the surrounding communities in the redevelopment of the abandoned Uplands Apartments in Southwest Baltimore. Dana enjoys spending time with her family and friends, cooking, and renovating her historic home. Dana has represented clients in divorce cases involving substantial marital property, including business assets, retirement funds, securities, and real In many cases, child support and alimony also were at issue. Poole Textron, Inc.,192 F.R.D. 494 (D. Md. 2000) – substantial settlement for child disfigured in a golf car accident and sanctions against the manufacturer and its attorneys for concealing information pertaining to the golf cart’s defective design. Stonegate Limited Partnership American Siding & Roofing, Inc. – successfully represented developer for substantial defects in a townhouse development caused by the negligent workmanship of one of its subcontractors. Bertani Macklin – obtained a substantial settlement on behalf of a homeowner in an architectural malpractice case. Second Chance Body Armor, Inc. Safariland, Ltd., Inc. – successfully defeated claims in a nationally publicized multidistrict litigation for defamation and Lanham Act violations brought by a corporation against competing sales representatives. Dana was interviewed and quoted in the Maryland Family Law Update article, “Prenup, plz,” December 2016. “Motions Practice in the United States Court of Appeals for the Fourth Circuit,” Appellate Practice for the Maryland Lawyer: State and Federal (Sandler & Levy , MICPEL 2007).